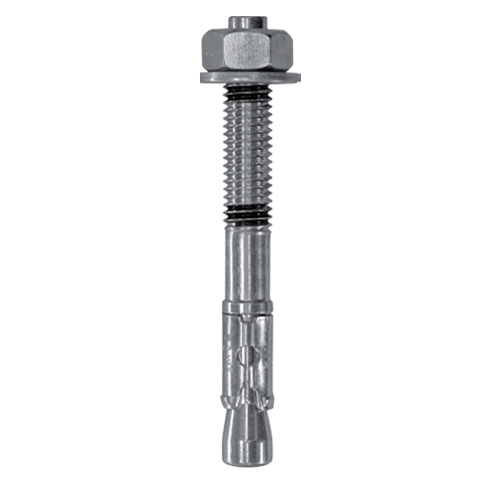 Rawlplug 0811550 R-XPT Through Bolts M8 x 115mm (100). 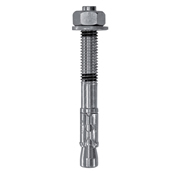 The RAWL® Throughbolt range has been developed to meet the changing demands of the market in terms of product approval levels, ease of fixing and product quality. The versatile through fixing for use in a wide range of applications in concrete of 20N/mm2 and over. Available in: Zinc plated steel. Features: Embedment depth markings to ensure correct installation. Cold formed body ensures constant dimensional accuracy. Optimum cone angle for controlled expansion. Tested and approved by the independent UK and international approval bodies. Reduced embedmenr depth to overcome the problem of hitting re-bar when installing the product on site.